Paraprhase Marilyn Monroe’s “diamonds are a girls best friend” and you get “shoes are a girls best friend”. 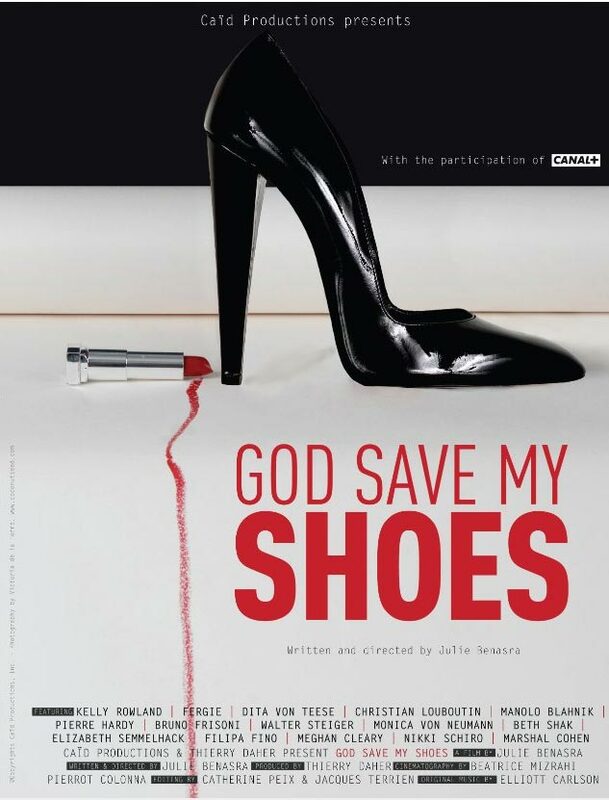 The film titled “God Save my Shoes”,analyzes the the intimate relationship between a woman and her shoes in socail, psycological and sexual aspects. Manolo Blahnik, Pierre Hardy and Christian Louboutin, Kelly Rowland, Fergie, Dita Von Teese, Bruno Frisoni, Walter Steiger, Monica Von Neuman, Beth Shak, Elzabeth Semmelhack, Filipa Fino, Valerie Steele, Meghan Cleary, Nikki Schiro Fergie and Dita Von Teese will be starring.